(CWK) (Moroni, Comoros) 2001 - 2002. Photos. Framable Color Prints and Posters. Digital Sharp Images. Aviation Gifts. Slide Shows. 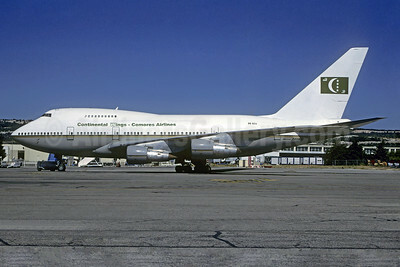 Continental Wings - Comores Airlines Boeing 747SP-27 D6-OZX (msn 22302) MRS (Jacques Guillem Collection). Image: 932043.